Guest post by That Girl. I’m calling it, jaffles are the new burger. No? No one else? Okay, haha jokes! Jaffles are probably going to come and go and we’ll all realise we used to own a jaffle-maker and have the ability to make these toasted sandwiches at home. I might need to go buy a jaffle-maker. So, one Saturday, we’re making our way to breakfast, at 12.10pm no less, because who said breakfast has to be enjoyed in the AM? 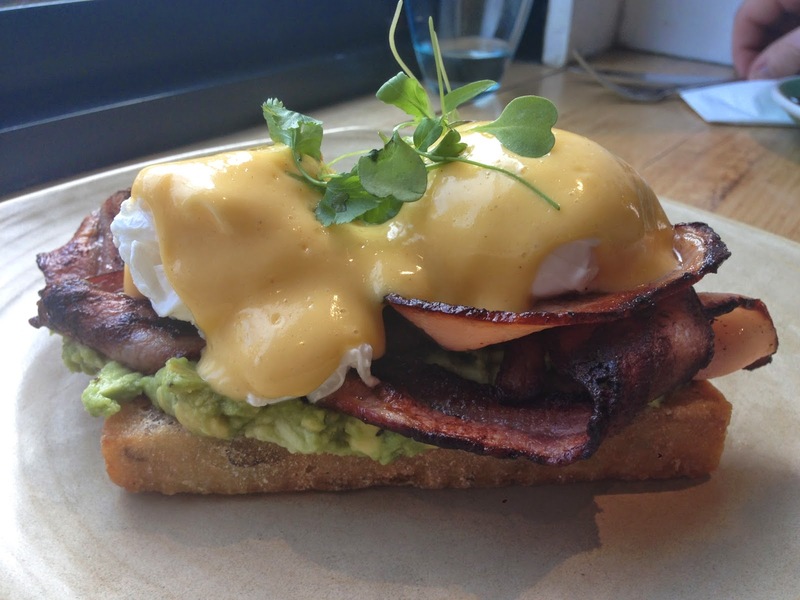 Tucked behind Chapel St lies Oscar Cooper, a busy little cafe that boasts all-day jaffles – “Damn Fine” ones at that. Despite being jam-packed, we were seated after waiting only five minutes, so that’s one point for you, Oscar. The day’s jaffles, the flavours of which are listed on a wall, looked enticing and we had our heart set on one featuring pulled pork and jalapenos, but alas, ‘NA’ was listed next to it. Nothing makes one’s stomach sadder than the letters N and A next to a menu item. Not ‘Appy (Jan). 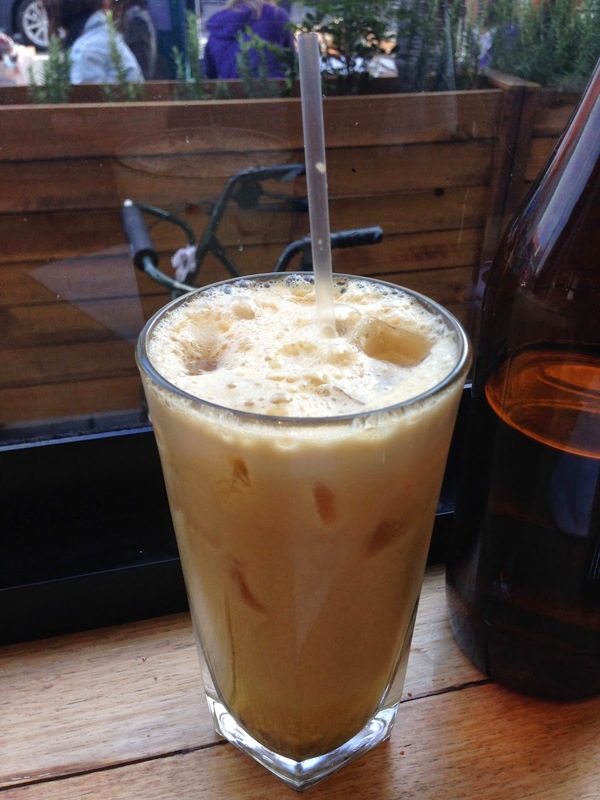 I started with a Golden Pash juice, which contained pineapple, apple, orange and passionfruit. The passionfruit seeds lodged themselves in the straw upon first sip and proceeded to make the juice unnecessarily harder to consume. Oscar, you might want to look into investing in some wider straws. The juice itself, when it made its way into my mouth, tasted overwhelmingly of pineapple, with a hint of passionfruit. 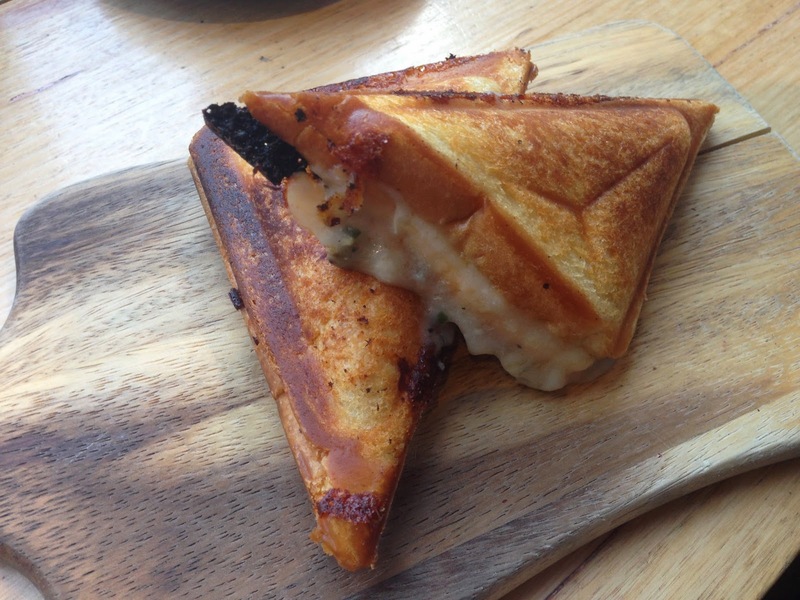 Of the five or six jaffles on offer, two were listed as NA, so we settled for the chicken, chives and gruyere cheese. There were a bunch of other very appetising-sounding items on the menu that were on the short list, but we didn’t want to overdo it for breakfast, so we only also ordered the Oscar’s Benedict. 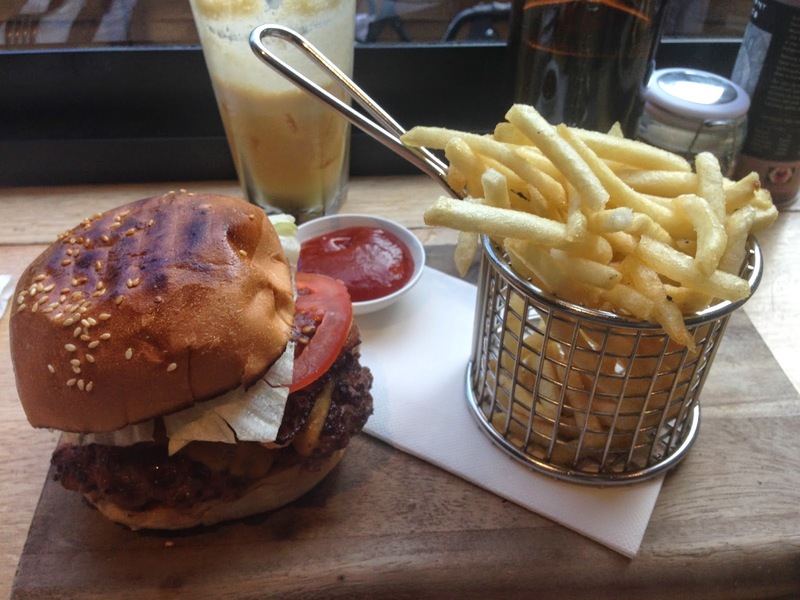 Oh, and the wagyu burger. Because when my preferred item is Not ‘Appening, I bloody well get a burger for breakfast to make up for it. The jaffle was nicely toasted, although compared to other ones we’ve sampled recently, the outside did not appear to have been slathered in butter and crisped to lovely perfection. I prefer the artery-clogging version. The filling was piping hot and contained a moderate amount of cheese and chives, but could have done with a smidge more chicken. While pleasant enough to eat, it reminded me how easily this could be replicated at home. Mental note to stop at K-Mart on the way home. Nostalgic Afternoon! The Oscar’s Benedict came as two poached eggs on a potato roesti, with smashed avo and tangy hollandaise sauce, to which we also added berkshire bacon. Because why not? Strangely enough, I have steered clear of hollandaise sauce most of my life because of fear of the unknown. It somehow never occurred to me to try some and so, with slight trepidation, I had my first hollandaise sauce. It was not to my liking. I won’t be repeating that experience. And then, the final breakfast item arrived and I was so pleased to see fries that I started devouring them like they were crack. You would think I hadn’t yet eaten that morning. 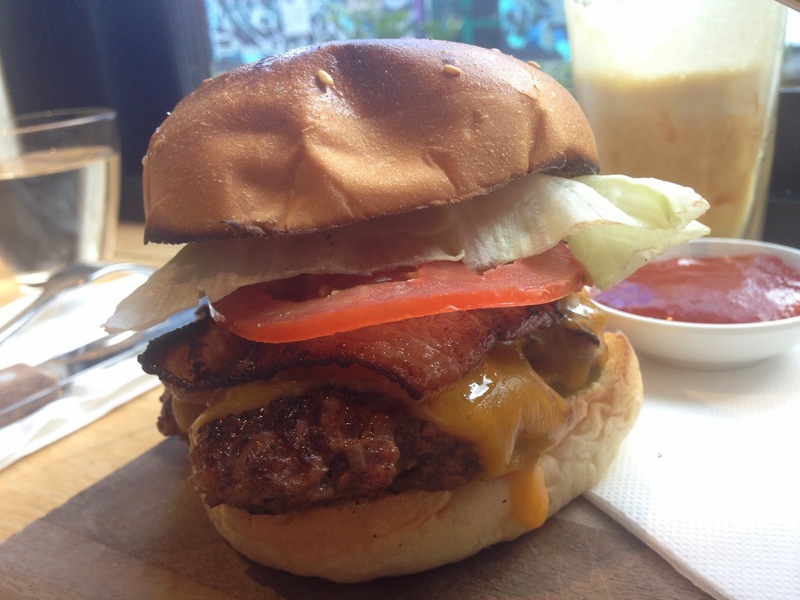 The burger came with bacon, Californian cheddar, pickles, tomato, lettuce and a smear of some sauce, which might have been mayonnaise or some variant thereof. The iceberg lettuce slice was a sad, limp little thing and seemed out of place, like it had been added as an afterthought. The bun was almost toasted too well and there was not enough of the sauce (or spread? ), which would’ve added some needed moisture to each bite. However, the wagyu patty itself was very good, seasoned well in itself, with visible chopped onions and herbs scattered throughout, and was a lovely pink on the inside. Paired with the melted cheddar, bacon and pickle, it was almost enough. Perhaps, Oscar, you might want to re-think the lettuce and sauce. Non, Ami? Overall, a decent outing with a few little hiccups, but I’d be willing to return and try some of the other menu items. And some more jaffles seeing as I never went out to get that jaffle-maker, because, well. Never Acquired. And seriously, if jaffles do become the next burger, I called it first. 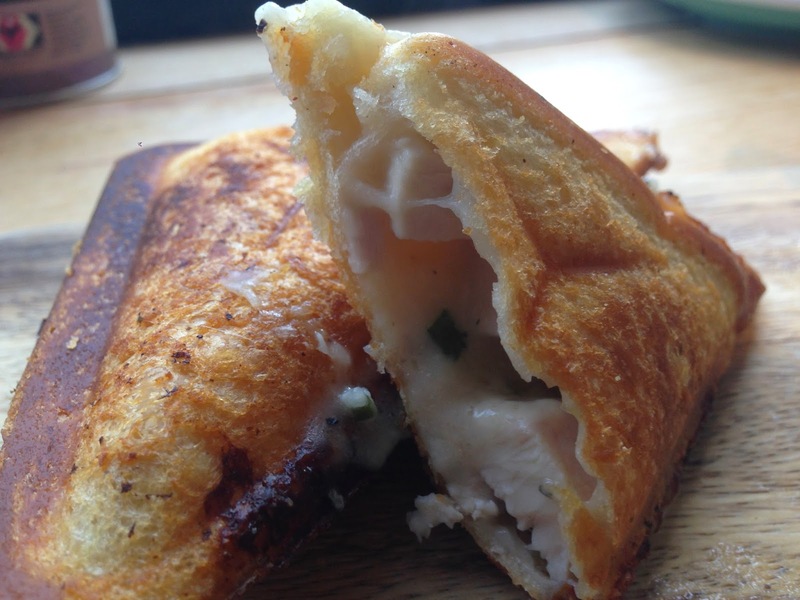 TL;DR – Try a jaffle, provided it’s available, and take a gander through the menu.